Are you living in the Triangle area and looking to add something new to your landscape to make it stand out? Whether you want to add landscape enhancements to your existing property or you want a complete landscape makeover, OnSite Resources’ custom landscape services will meet all of your functionality and aesthetic needs. Our landscape designers and architects can handle a wide range of landscape services, from small residential jobs to larger commercial landscape installations in Raleigh and surrounding areas. We listen carefully to your wants and needs, incorporating all of your plants, outdoor living areas and custom features already in place in your landscape into your new construction project. See examples of OnSite Resources’ designs and constructions in our landscape portfolio. We will also be glad to quote a price for your next landscape project off of your existing plans or work with you to create a custom Raleigh landscape design. 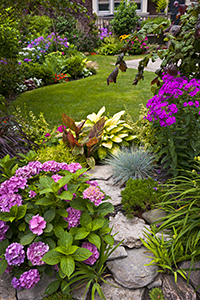 OnSite Resources provides landscape services to homeowners and homebuilders in Raleigh, Knightdale, Durham, Chapel Hill, Cary, Morrisville, Wake Forest, Apex, Garner and surrounding NC areas.